ASTANA. 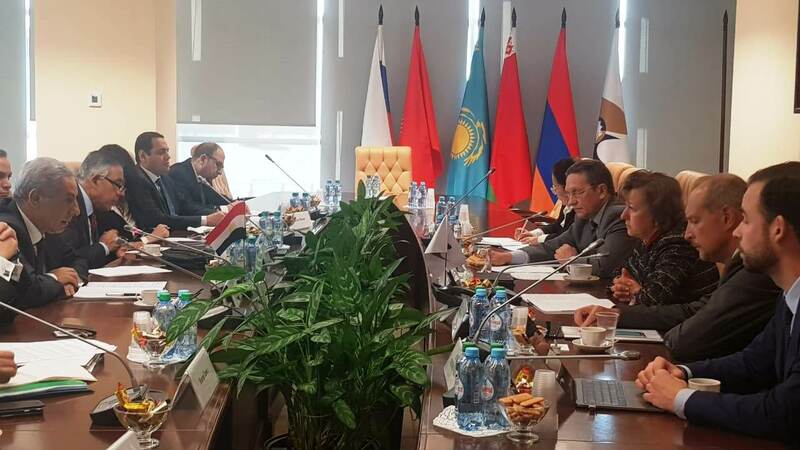 KAZINFORM - The 1st round of talks on the Free Trade Agreement between the Eurasian Economic Union and the Arab Republic of Egypt finished in Cairo (Egypt) on January 15-17, the EEC press service informed. The talks focused on the main provisions of the Agreement and set the schedule of the further work. EAEU and Egypt expressed readiness for a constructive dialogue on the whole range of issues touched upon in the Agreement and confirmed their aspiration to elaborate full-fledged progressive agreement aimed at ensuring predictability of trade terms and transparency of trade regulation. The FTA will provide new opportunities for the EAEU member states in development and diversification of trade with Egypt. Commodity turnover between the EAEU and Egypt in January-October 2018 made $5.8bn that is 21.2% higher against the same period in 2017.